Instrumentation Laboratory provides diagnostic instruments for critical care and hemostasis to meet the testing needs of medical professionals. The company offers hemostasis testing systems along with a complete line of reagents, controls and calibrators, suited for its flexible range of automated analyzers. Its whole blood immediate-care diagnostic systems allow users to perform time-sensitive diagnostic tests efficiently and accurately. 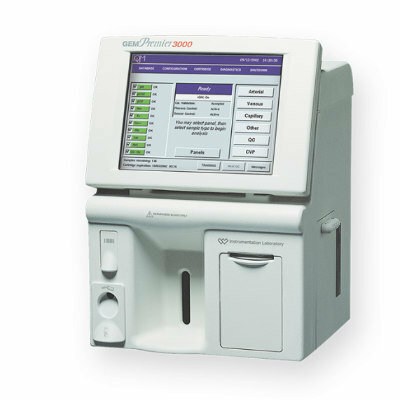 The GEM Premier 3000 system measures pH, blood gases, electrolytes, metabolites and more, while providing continuous quality management through iQM and zero-maintenance with its multi-use, disposable GEM PAK. It simplifies and standardizes whole blood testing while delivering rapid, quality results in the laboratory or at the point-of-care.